Blizzard is trying something new with Heroes of the Storm. The game has a few years under its belt and much of the lore as it pertains to its combatants is established, bu the time has come to start to explore more of the Nexus -- one of the only original creations from the mega-publisher outside of Overwatch in many years. 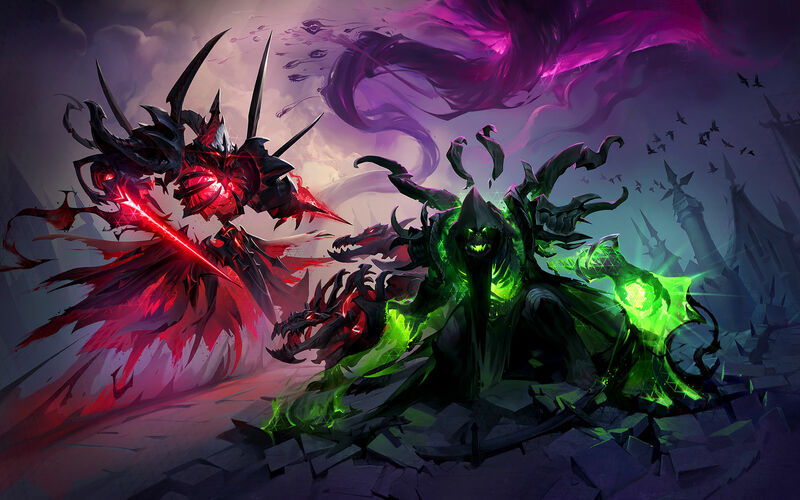 To kick all that off Blizzard is launching the "Rise of the Raven Lord" comic, which is a sort of precursor to a big new event called the Dark Nexus. Alongside of the Grave Keeper the Raven Lord is one of the chief deities of the Heroes of the Storm universe, and a short narrative penned by Valerie Watrous helps set the stage for the story to come in a very MCU sort of way. You can check out a quick preview of the comic below -- Blizzard will divulge more info on the event later today. It all seems like baby steps so far, but if Blizzard can keep people reeled in I'm interested in seeing where this goes over time.